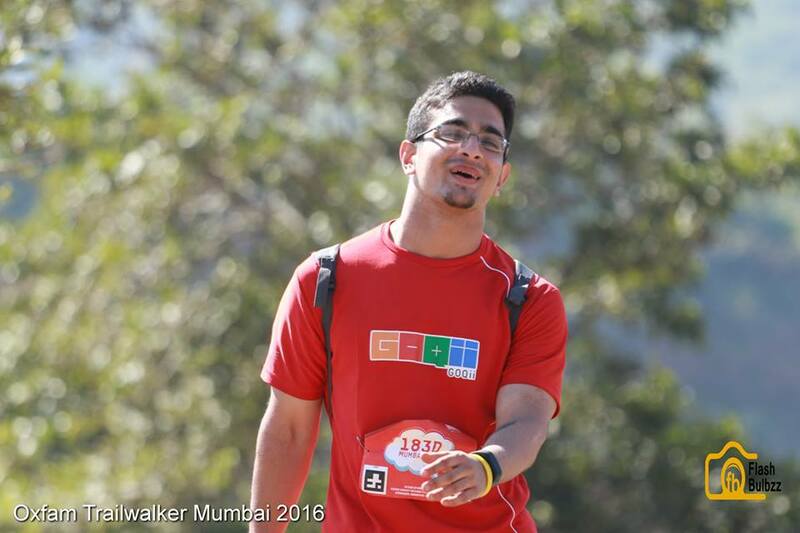 Walking a 100 Km is no mean task and we at GOQii have been doing this for the last three years. Every year the excitement for the 100 KM Oxfam trail walk begins 2 months in advance. This year was no different with several teams from GOQii participating with close to 50% being first timers. First timers to the event included both our players as well as GOQii employees. This adventure trail walk is no run of the mill trail walk, it comes with a purpose. 140 teams in total came together for a good cause-‘Walk for Equality’ and to physically challenge themselves to walk 100 kms within 48 hours on a route that included tar road, mud path, open fields, stones strewn roads and forest routes. Each team had to raise a minimum of Rs 80K for Oxfam. Considered as the World’s 3 most difficult trail walks, the Mumbai trail walk is held every year amidst the lap of nature in the Western Ghats of Maharashtra. It starts from a place called Garudmachi in Tamhinighat and ends in Lonavala. By now many would have realized that walking isn’t that taxing as much as it is to raise funds. Many come up with interesting and innovative ways to raise funds. Few teams in GOQii also came with innovative ways to raise funds such a selling lunch and snacks to their fellow colleagues at office. While some I know did some odd jobs for their friends in lieu for donation to Walk for Equality. GOQii collectively with all its teams raised approximately Rs 16 lakh for Oxfam. That’s a great achievement for all of us at GOQii. It is not only about fund raising funds but, also all GOQii teams finished well within 48 hours the required time to complete the 100 km trailwalk. If I have to describe what the trail walk is like, I would say it is a test of your endurance, physical fitness, mental strength, team spirit, leadership skills, crisis management and the power to make the right decisions. It is also a test of one’s own ability and confidence. Similarly, for Maaline D’Souza who is part of GOQii’s customer support team the 100 KM trail walk was a challenge that she took upon herself. She says, “I never thought, I could do it. But, yes with regular practice and the right kind of will power I completed it without much issues”. She adds, “The 100 km journey cannot be stated as easy. It is a mind game where I truly needed my mind to be constantly pushing me than my body. In short, this was the best achievement of my life. It has made me more confident as a person”. Clearly, most who I spoke to on the trail on why did they were doing the 100 km trail walk? 2 or 3 motives came out clear. For some veterans on the trail it was to overcome their fear and also a chance to get fit. For people who were on the heavier side, it was to prove to themselves that they can do it. And, for some others who had already attempted this before once or twice, it was all about improving their timing. Another observation I made on the trail was that older people pulled the feat much better than the younger individuals. Secondly, Women on the trail were more resilient than men. For first timers it was a mental battle that they were trying to fight with themselves. For most their bodies are given away but, it was their mental strength that held them through the 100 km pushing them every inch to complete the race. Some like Parth from the tech team of GOQii it was accountability. Accountability to his friends who had donated for the good cause that he was walking for. Check point to 7-8 trail was also a grueling trail in the sun. The trail followed the old bullock cart path that village communities used earlier, up a gradual slope and down across a vast open pasture and scrub land. Some parts of the trail open up to spectacular valley views. And then ultimately getting on to tar road which was hot during the day. For few other GOQii employees it was a great first time experience where most understood how to work in a team, take collective decisions and above all learn to heave patience. 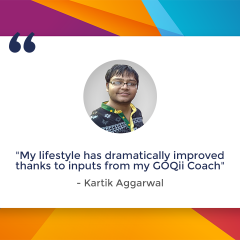 None of this would have been possible without GOQii’s efficient support team led by Krishna Kumar aka KK who made sure that every participant was comfortable from the time we landed at Garudmachi on Dec 8, 2016. Dr Ashwin Nanda, from GOQii’s team of doctors says, “It was quite gratifying for me to be of help to all GOQii participants”. It was Dr Nanda’s first trail walk experience. He says his biggest learning was do not ever give up on anyone. 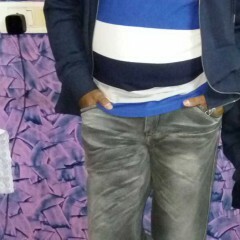 Help everyone get through.” For old timers Sunny Rajani and RutaSatam, being support is always a pleasurable. But, what had changed this year from last year, Rajani says, “This year we were more organized and prepared for all eventualities if any had to occur.” And honestly, the support crew plays the most important role in this entire 100 km journey. Altitude Quest, on the trail support crew were a boon in disguise. The AQ team was there to provide massages and taping of the feet when required after a tired trail walk. .
Last but not the least kudos to three of our GOQii teams led by players performed wonderfully. ‘Go Spirited’- the team that comprised of all four women players- Bela Gupta, Anitha Rao, SuranjanaKumaresh and ReenaKansal was not only the fastest woman’s team completing 100 km in 34 hours but also the fastest veteran’s team. The two other GOQii teams that made it to top 10 was AnuragBiesn’sGOQii-Veer tum Badhechalo who completed in 24 hours and GOQii Alpha led by Kamal Karnatak with a completion time of 28 hours. Weekend is getaway time with our family, friends or colleagues. Some people think after doing strenuous workouts and crash dieting it’s time to relax over the weekend and relaxing means literally binging on outside food. More often than not, the thought process is –‘its only today so let me indulge…..I will make up for this binging over the week by sipping a meal or two’. When Monday arrives, they are guilty of having indulged over the weekend. One needs to stop and notice these chain of events. There has to be a change in the behavior. Individuals’ need to realize that indulging in binge eating for two days and then feeling guilty and trying to rectify the situation does not work. Multi-tasking while eating or watching television while eating always causes distraction or causes hurried eating. So switch off your phone, TV and Computer before eating. Preferably adopt the cross legged posture Or sit At your usual dining place. 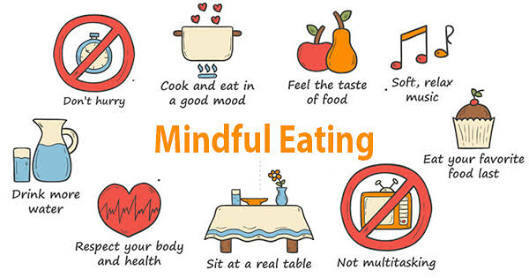 Calm your mind and body then start eating your meal. When your mind is calm and composed, you release the right amount of digestive juices which gives you better digestion. If you are stressed or guilty while eating -stress hormone called cortisol is released which lowers our metabolic rate, prevent fat burning and help convert food to fat. Take deep breath, calm yourself and get settled before eating. Don’t be in a rush while eating and try to get up fast. Start eating (preferably with your hands) and eat slowly. Use your entire mouth and do not just chew from 1 side of your Jaw. While you still have food in your mouth don’t pick up another morsel from your plate. Keeping food ready in your hands or in a spoon means you are eating fast and will ultimately this could lead to overeating. Eat with your senses and think about how the food is nourishing you from within. Savor every bit of what you eat, slowly and mindfully and you will naturally find your threshold. So be silence and attentive while you eat. Prepare Food in smaller quantity. If number of People are less it helps to prepare lesser quantity and better by retaining nutrient value. Always eat food that is freshly prepared. One should consume food within 3 hours of Cooking. Don’t deep freeze cooked food. Whenever you get the craving for a sweet – before opening the fridge or cabinet for the same, take a deep breath and ask yourself, “Am I really hungry?” Do something else, like reading or going on a short walk as that will help you to avoid any emotional extra eating under stress. Let’s start to enjoy eating food rather than think of it as a task to complete. Remind the body of its own intelligence and its ability to self-regulate for you! Cultivate a sustainable, balanced and healthy approach to the way we eat, the way we look, and the way we live. A week ago, 100km was just a number in my head. A number that I had to overcome in 48 hours but a number that I WOULD overcome. I am a power lifter who enjoys the process of bodybuilding. I lift heavy barbells and dumbbells and I enjoy every bit of the big muscles I’ve created over the years. I’d never taken part in marathons leave alone endurance walks. Hell, I never even took part in any 100m+ races in school. I’m a fitness blogger and I believe that fitness should not be limited to a single domain. What I believe is that the ultimate goal of fitness is becoming ‘THE BEST VERSION OF YOURSELF’. And, if your endurance stats don’t match up to your strength levels, you are stopping yourself from reaching that ultimate goal. So with no prior endurance training experience, I readily agreed to challenge myself and signed up for the Oxfam 100km trail walk. A bit of a pre story – I didn’t practice much for the trail walk. Endurance training is known to deplete your muscles in terms of size. My muscles are my brand and I couldn’t let go of them. So I chose a midway path and decided to go for 10-15km jogs every week. These jogs may or may not have helped me, I don’t know for sure. In saying that, I do not recommend that you don’t practice for the walk. 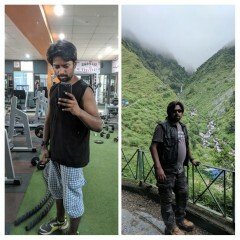 I have been a strength and fitness coach for 4-5 years. My body has reached a level of fitness where I was capable of executing the walk without much hassle. But, it may not be the same case for everyone. After I completed the walk, I realized that practice IS crucial for an average person. Especially those for whom fitness isn’t the central theme of their life. Make sure you go for a few practice walks if you don’t want to end up injuring yourself! Firstly, you need to understand the MAGNITUDE of a 100km. Most people who live in cities aren’t even used to walking 1km at a stretch. The day before the walk, I had a word with a 53 year old lady who was participating with me. She told me that this was her 3rd trail walk and the biggest advice she gave me was “DO NOT GIVE UP”. I was told that the trail walk is entirely a mind game. And, as we progressed, I came to learn that exactly. This was psychologically THE MOST testing activity I’ve ever done in my life. Most participants’ bodies break down at the 30 km mark. This largely happens due to non-practice and not realizing how your body reacts to an extreme strenuous activity. Post 30km most end up having knee issues, ankle pain and blisters on their feet. Irrespective of your fitness levels, the game is to constantly fight off the pain you’re feeling, and move FORWARD. As I continued my walk, I realized that I’d never done something so grueling in my life. There were some stretches in the trail walk that were SO intense, that I was almost sleepwalking. My mind had switched off entirely, it was the middle of the night, my hands were numb and frozen. But, my legs kept moving forward. My legs were the only entities active in my entire body. And this was just ONE of the many testing moments. Every trail had its own challenges. There was a trail that was an entirely upward climb. There was a trail conquered in lava-esque afternoon heat. There was a trail conquered on an open, ice-cold tar-road in the middle of the night. But, more than anything there were countless instances of pain and challenge. I can’t stress on how big the psychological aspect of the walk is. Training from an endurance standpoint will only get you so far. The real test was conquering the pain, the heat, the cold and your dead lower body. But, if anything, I believe that weight training played a role in helping me overcome the pain barrier. And, when we’re talking about a 100km trail walk, pain is your biggest enemy. There were countless fellow walkers with me who had to take breaks, had to rest at check points and had to get physiotherapy done on themselves. Of course I had instances like this. But, my instances were relatively fewer than my fellow conquerors. This is where I feel like my elevated strength levels paid off. Despite not practicing much from an endurance standpoint, I was able to complete the entire walk in 36 hours. 12 short of the time limit. A great achievement for my first trail walk. But, this achievement was nowhere close to the REAL prize. The trail walk showed me a new form of fitness. Yes, the endurance training is something new, from a physical perspective. Endurance walks like these make your mind and focus ROCK SOLID. 100km is not a number for me anymore. It’s a trophy. When you actually overcome ONE HUNDRED kilometers, it is indeed a ‘Big Deal’. Your feet will be blistered up, your knees will be jammed solid, and your ankles will feel like they’re 150 years old, but your mind – Your mind will feel like its limits have been expanded. The only way to expand your limits is to push yourself to their edges. And that was what this trail walk was for me. It was a test, a foe and most of all a teacher. Remember your biggest challenges are your biggest gurus. In my entire fitness-life, there hasn’t been a challenge of this magnitude. There hasn’t been an experience that has toughened me up so much. This is the beauty of fitness. 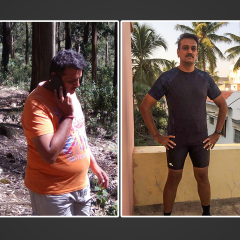 I am one step closer to being the BEST VERSION OF MYSELF – thank you for the opportunity GOQii and Oxfam India.